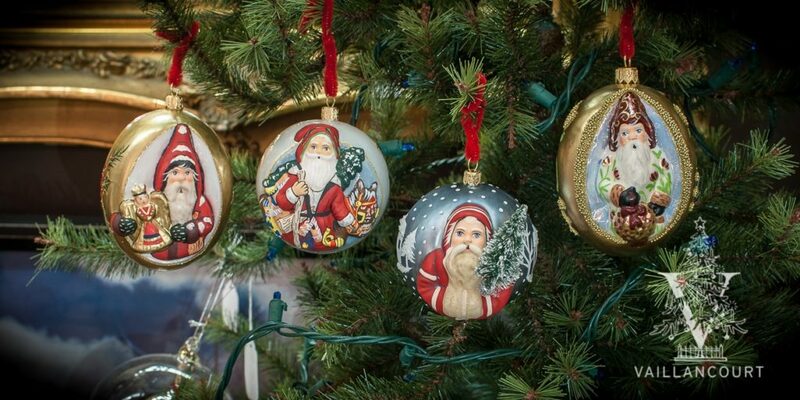 Mouth blown and hand painted in a small Polish studio where glass making has been a tradition for generations, Judi Vaillancourt’s Christmas ornaments are literal interpretations of her popular Chalkware figurines. The first to create a traditional matte finished holiday ornament, Judi’s line has grown to include “glitzy” ornaments that fit into the contemporary vision of Christmas ornaments. Whether the ornaments embellished with extensive glitters or the subtle matte finish of the Vaillancourt charm, these ornaments fit perfectly into anyone’s ornament collection.